Speaker : Mike Heaney – himself a member of Eynsham Morris Dancers. There are broadly 3 types of Morris Dancing – Cotswolds/South Midlands – distinguished by complex steps, slow capers and distinct tunes and dances; Welsh Borders/Midlands – distinguished by raucous behaviour, sticks, blacking up and simple steps; North West – distinguished by clog-wearing, slings, steps and kicks and processional movements. 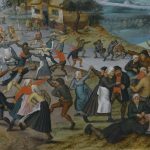 There are many theories as to the origination of Morris Dancing but the most credible is that it came to England in the 15th Century from Flanders where the wealthy Burgundian/Flemish court had Morisch (Moris) entertainment. In England the first recorded evidence of Morris Dancing was in 1448 when the Goldsmiths Livery Company of London employed Morris Dancers at its grand annual banquet. Shortly afterwards Sir john Folstaf from Norfolk commissioned a tapestry containing images of Morris Dancing. The Livery Companies perpetuated the employment of Morris Dancers at their annual Mid-Summer London banquets with the use of Morris Dancers reaching the Royal Court in 1511 under Henry V111. Morris Dancing then filtered down to the general population initially under the auspices of the Church (Church Ale festivals). However, it fell out of fashion under Puritan Rule culminating in an Act of Parliament effectively banning Morris Dancing in 1654. Morris Dancing returned but no longer under Church control with Whitsun Ales and Rushbearing ceremonies taking place within local communities. 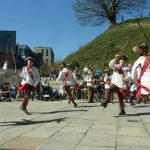 The revival of Morris Dancing, however, commenced at the end of the 19th Century with enthusiasts DArcy Ferrars, Percy Manning and Cecil Sharpe researching and reinventing Morris Dancing in the old style. As far as Abingdon is concerned the first recorded mention of Morris Dancing was in 1560 where Church Records detail the purchase of bells for the uniforms of Morris Dancers to attend a Church Ales festival. Today there are 2 sets of Morris Men in Abingdon with the famous Mock Mayor election celebration a highlight. 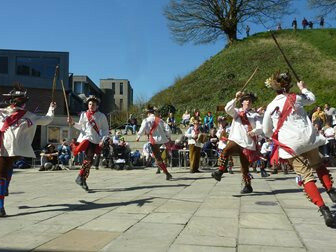 Morris Dancing would appear to be in a healthy state today with new groups around the world developing new styles of Performance. This entry was posted in General interest, Local interest, Talks on November 14, 2018 by Bob Goodenough. Speaker : Sue Smith, who has studied the subject in depth at Oxford University. 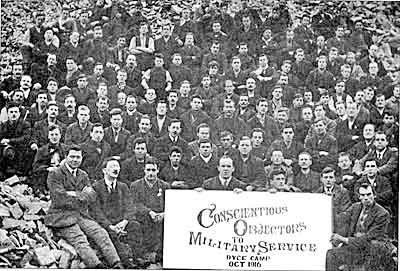 There were about 100 Conscientious Objectors (COs) in Oxford during the War, but many of the records have been destroyed. In the early part of the War the Armed Services used regular forces, but by 1916 we could no longer replace troops in suﬃcient numbers, so universal conscription was introduced. Everyone eligible was ‘deemed to be enlisted’. 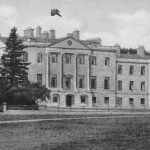 This meant that those who could not, or would not, join the Armed Forces were subject to a Military Tribunal which examined their case and delivered a verdict. Certain categories (eg those in nationally important employment, or who were ill) were able to get exemption. But those who objected to military service on ethical grounds had a much more diﬃcult time. The Tribunals usually consisted of men who were established local ﬁgures, and not likely to share such views. They also had a representative of the Military, who exerted an inﬂuence on them. In any case COs, among the general public, were suspected of cowardice or unmanliness, and often abused. In reality, COs, and in particular Quakers, often served as medics and ambulance men in very dangerous circumstances on the front line. 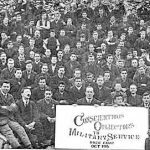 Altogether in the country during the war there were about 18,000 COs, who objected to service either because of religious objections to killing, or who objected on political grounds to the War. 6,000 of these were sent to prison. Conditions were often harsh. Many COs were sent to the notorious Dartmoor prison, and we were shown pictures of a large group of COs there. The Oxford COs were a mixture, and came from all classes. Some COs, after the War, became well-known ﬁgures especially if they were from the upper class. Raymond Postgate, who later founded the Good Food Guide, spent time in prison, but was driven by taxi to jail. Another CO, a Quaker (Sydney Langford Jones), was a painter and sculptor, and made ﬁgures during his detention out of porridge oats. Alan Kay was of German descent, and a CO, and committed suicide in 1919. The COs were not without sympathetic support. 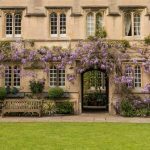 In and around Oxford there were the Morrells in Garsington, who provided a refuge, the Bishop of Oxford who forced a debate in the House of Lords, the Professor of Greek Gilbert Murray and many Quakers, some from inﬂuential families. Though the antagonism to them lasted for several years after the War (they were not allowed to vote until 1926), they led eventually to legislation (ﬁrst in Britain, then spreading to many other countries) that guaranteed the right of COs to refuse to join the Armed Forces. The talk was followed by a very rewarding discussion. On July 12th Alistair Lack led a group of members around various venues associated with the filming of the Morse series, and later the Lewis and Endeavour episodes. He began by giving us some facts about the number of episodes involved, the scriptwriters, the composer Barrington Phelong and the relevant viewing figures. Kevin Whateley was by far the longest -serving actor, having been in all three series and for 30 years. 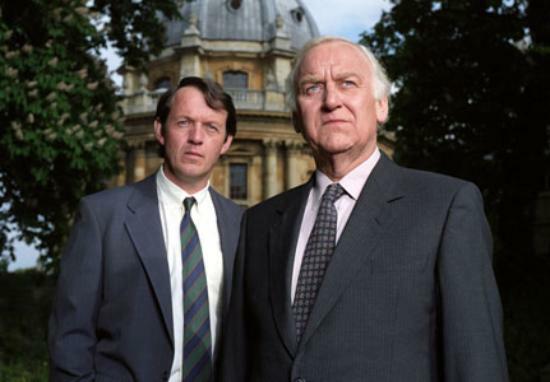 An interesting addition to the information about personalities was that there was a close bond between Colin Dexter and John Thaw who played Morse. They enjoyed a mutual fondness for liquid refreshment in the Morse bar of the Randolph Hotel. We began our tour outside St John’s College in St Giles, which was the fictional college attended by Morse. He failed to complete his degree course after an unhappy love affair. We stopped at St Michael’s Church at the Northgate which was associated with an incident when a victim was pushed from the top of the church tower. However we also learned that many scenes supposedly filmed in Oxford were actually filmed elsewhere, often on the outskirts of London. This was more convenient for the large numbers of crew involved, and kept costs down. We were then taken into Exeter College grounds and the college chapel. This was the venue for Morse’s final scene when he heard his favourite piece of music, Fauré’s Requiem. He was then filmed collapsing outside having suffered a fatal heart attack. We were also told that allowing filming was much more popular with some colleges than with others, although it was a welcome source of revenue. After a brief stop outside Walter’s in the Turl which features in one episode, we finished our tour outside the Sheldonian which played a part in the most watched Morse episode of all. This entry was posted in General interest, Local interest, Talks on August 16, 2018 by Bob Goodenough.